Capt. Barry Schiff is an award-winning journalist and author. He is one of aviation's leading writers, well known to pilots and flying audiences for his numerous books, videos and more than 1000 articles published in some 92 aviation periodicals, notably AOPA PILOT, of which he is a contributing editor and columnist. Capt. Schiff, with more than 26,000 hours in 255 types of aircraft, has received worldwide recognition for his wide-ranging accomplishments. A rated Airline Transport Pilot at 21, he has earned every Federal Aviation Administration (FAA) category and class rating (except airship) and every possible instructor's rating. A 34-year veteran of Trans World Airlines, he retired (because of the age-60 rule) in 1998 while flying the Boeing 757/767. Capt. 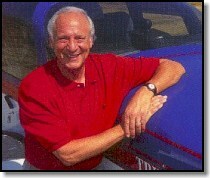 Schiff holds five world speed records (one wrested from the Soviet Union) and has received numerous honors for his many contributions to aviation safety. These include a Congressional Commendation, the Louis Bleriot Air Medal (France), Switzerland's Gold Proficiency Medal, an honorary doctorate in aeronautical science, and AOPA's L.P. Sharples Perpetual Award. In 1995, he organized and led the historic first flights ever to take off from Israel and land in Jordan, being hosted by King Hussein himself. Many of his articles address personally developed concepts, procedures and techniques that have received international acclaim. Capt. 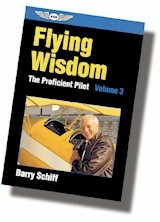 Schiff also developed and worked to have adopted the concept of providing general aviation pilots with safe VFR routes through high-density airspace. These credentials have not diminished his passion for flying light planes, which he has used to span oceans and continents. He continues to investigate and report to the aviation community various aspects of proficiency and safety, and remains a vigorous and outspoken advocate for general aviation. Capt. 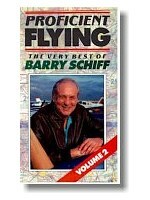 Schiff's Web site is www.barryschiff.com. © 1999, 2000 Douglas S. Ritter & Equipped To Survive Foundation, Inc.